Set Low Data Usage of Whatsapp Calls: – WhatApp, the instant messaging app has replaced the traditional idea of sending SMS text messages. WhatsApp enables you to send messages to any other WhatsApp user in your contact list. With WhatsApp, we can do a lot more than sending text messages. It allows you to share images, videos, audio files etc. Last year the company has introduced a feature to make calls. With this feature, you can call anyone in the world for free if have an Internet connection. If you have a decent bandwidth then you would have a crisp and clear calling experience. By choosing WhatsApp call over the traditional call, we aim at reducing call cost. If it eats up your data then there is no point in using WhatsApp call. If you have an unlimited Internet plan then forget about normal phone calls and switch to WhatsApp call. WhatsApp has recognised that the data cost is a factor which would affect the popularity of the call feature. So, anyhow they had to reduce the data usage. In one of the updates, they have introduced an option to reduce the data consumption during a call. The Low data usage option allows you to reduce the data usage during a call. But this feature is unknown to most of the users. 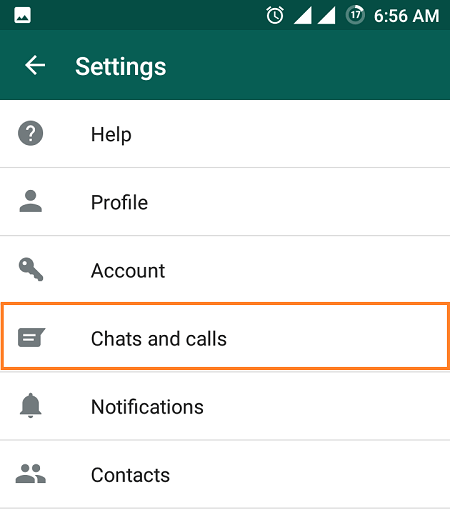 If you regularly make WhatsApp calls then enabling this feature would save a decent amount of data for you. Read on, to learn how to enable Low data usage option in your favourite messaging app to reduce the data usage during a call. 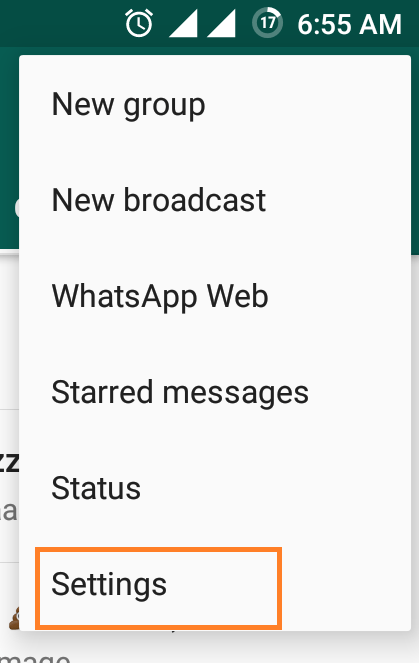 Open WhatsApp and tap on the more actions icon at the top right corner. In the expanded menu you have several options. Tap on Settings. 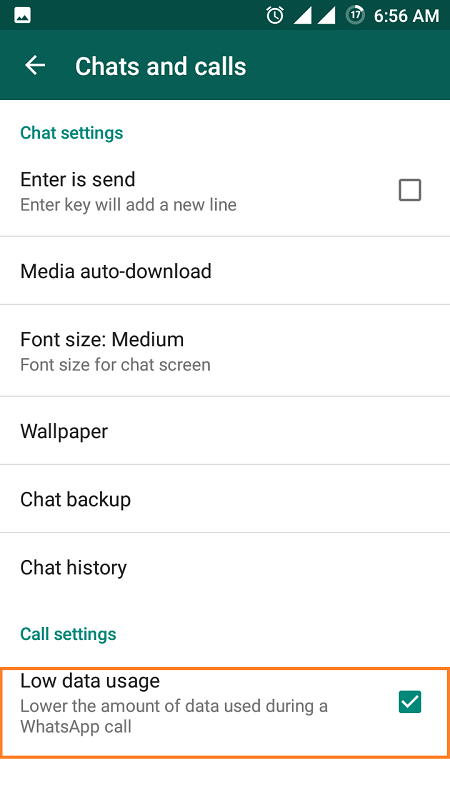 From the Settings menu tap on Chats and calls. You can see an option named as Low data usage at the bottom of the screen. Tap on it to enable the option. If the option is selected it will be marked with a tick mark as shown in the screenshot. From now on, your WhatsApp calls will consume lower amount of data during a WhatsApp call. You might not notice some cool feature of a frequently used app. So, some features which must be enabled to improve the user experience might remain hidden from most of the users. Low data usage option to reduce the data usage during a WhatsApp call is such a feature. Now you have learnt how to enable the option to reduce data usage during a WhatsApp call.